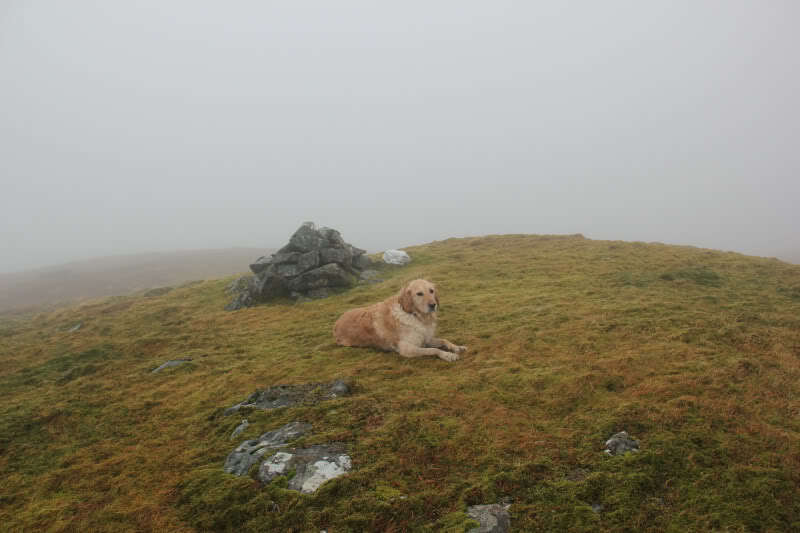 I could find no internet report of an ascent of both Beinn Bhalgairean and Meall nan Gabhar. I therefore did a bit of homework before setting out for this walk. Firstly, I used Google Streetview to check out parking near the start of the walk. 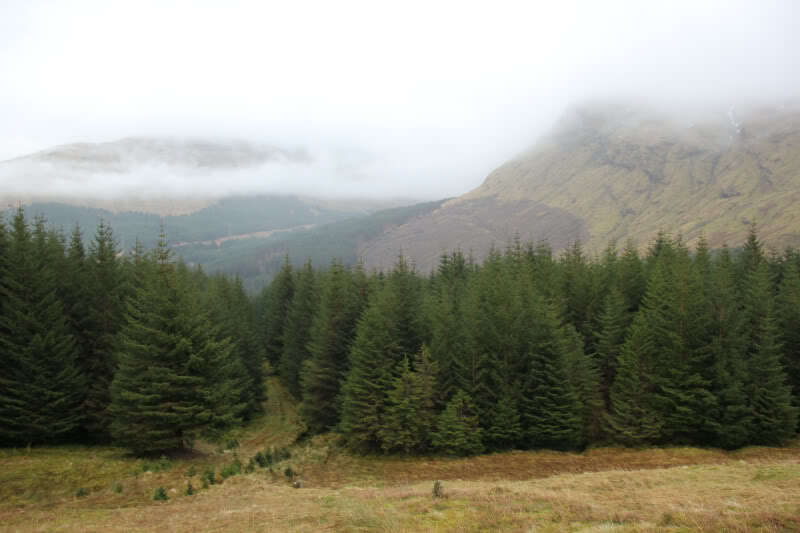 Secondly, I used Google Maps (Satellite view) to check for a potential route through the trees to get to Beinn Bhalgairean. 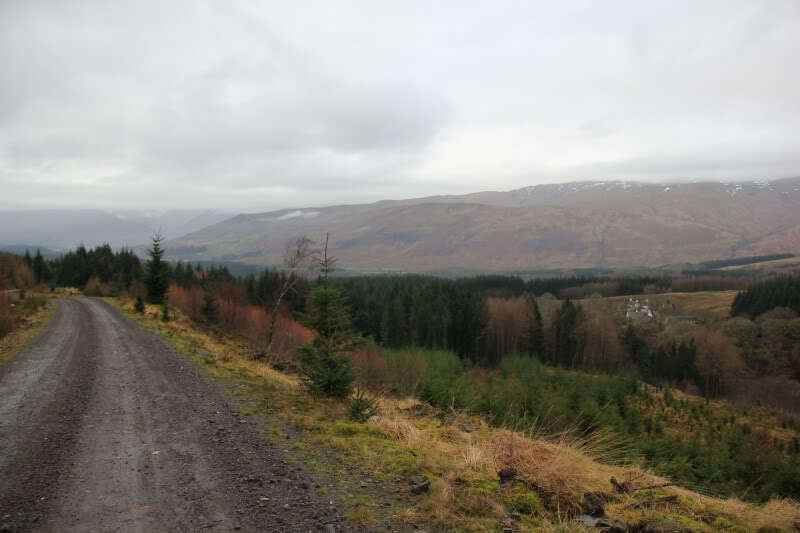 Thirdly, I manually created a route which I uploaded to Viewranger on my iPhone. Today was going to be my first trial of using an electronic map, instead of a paper map, on the hill. On arriving at the start of the walk, I quickly recognised the downside to Google Streetview! 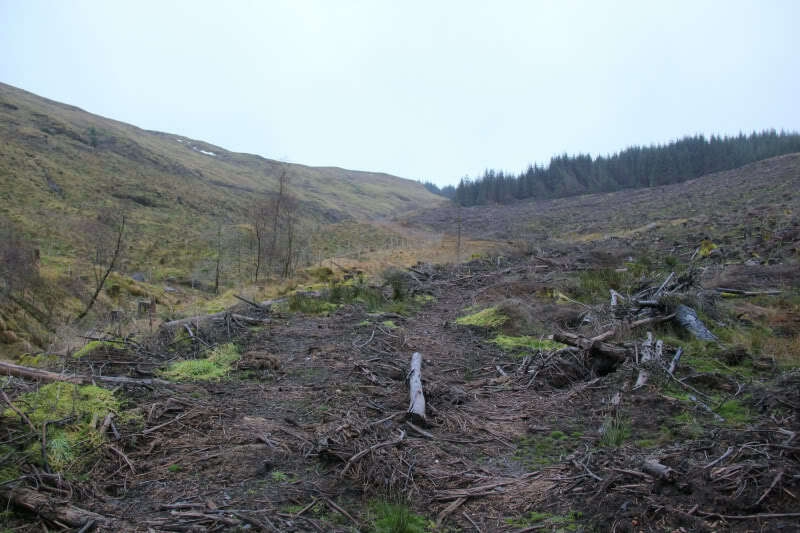 I had intended parking just off the road on the track to Succoth, however, there is currently a lot of tree-felling underway and it was not possible to park there. 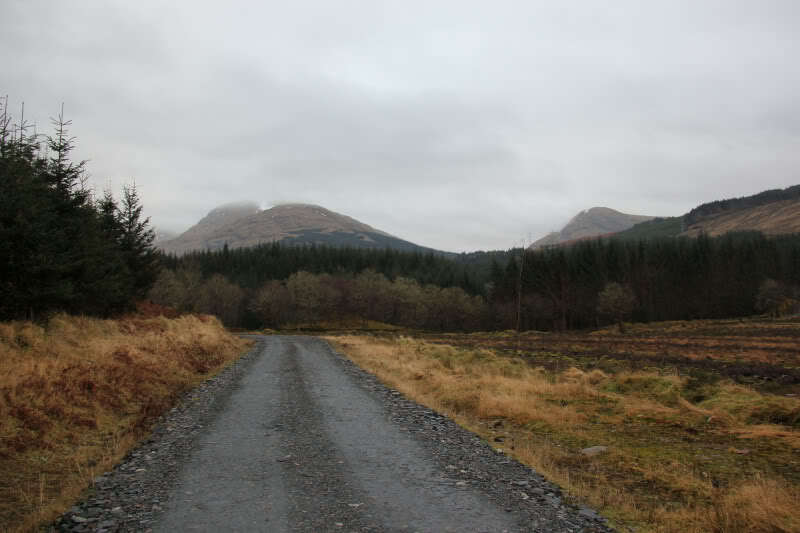 Instead I parked across the road at Corryghoil – this is private land, owner gave me permission to park there. 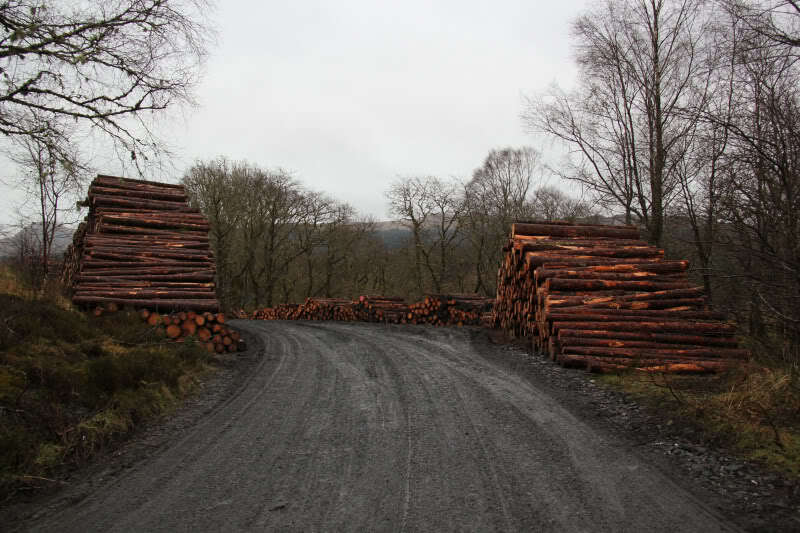 The initial part of the walk was past lots of log piles – the air was filled with a lovely smell of wood. I continued along this very good track for over three miles. 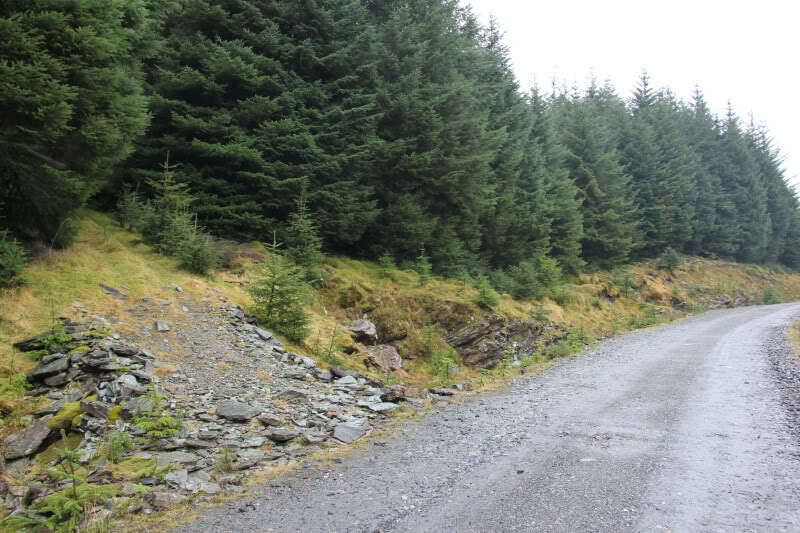 At the track junction beside Succoth, there is a sign advising “Authorised Vehicles Only beyond this point”. Under normal circumstances it looks like it is possible to drive as far as this point. 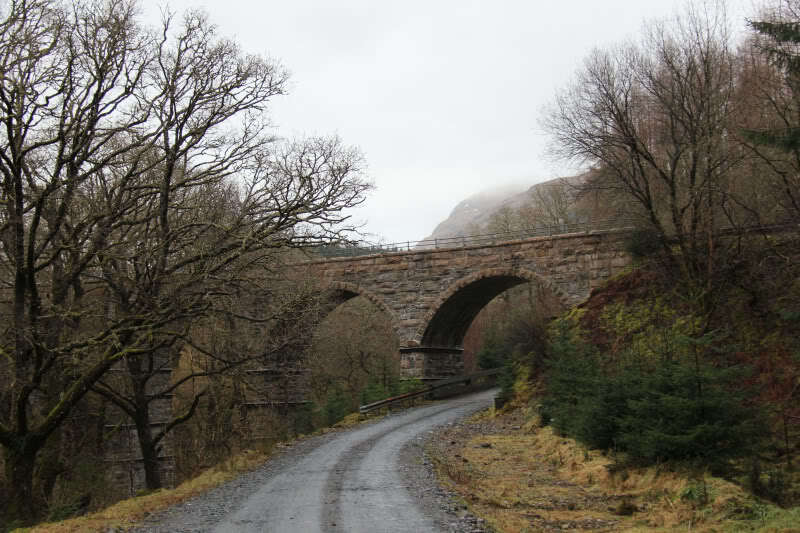 A short distance beyond the turn-off to Succoth, I crossed under a nice railway bridge. The good-quality track made for fast progress. As I went along I was checking the map on my iPhone. My initial thoughts were that it was great that it showed you where you were on the map but I was already not liking the small size of the map – I like to see what's all around me. 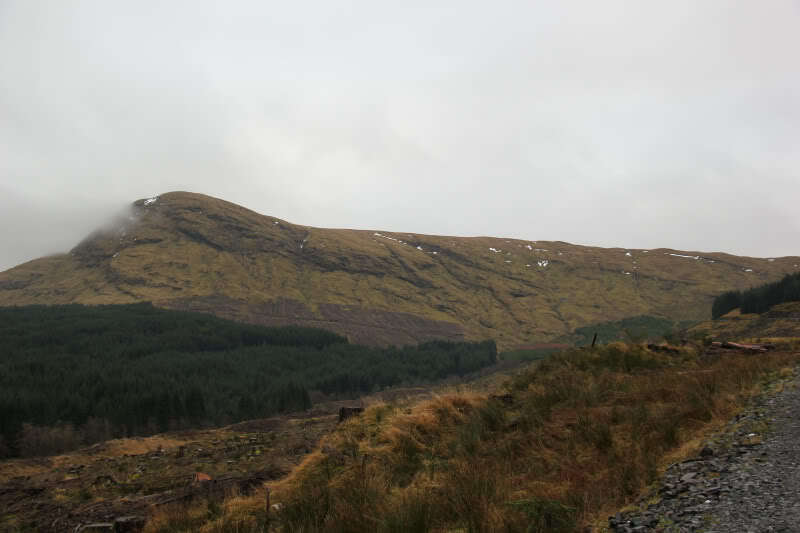 As I continued along the track, I started to get nice views of Meall nan Gabhar. 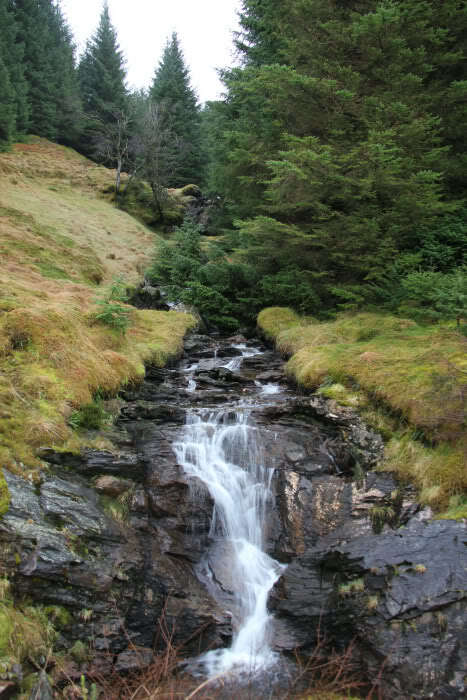 Soon thereafter, I stopped to take a photo of a nice small waterfall next to the track. 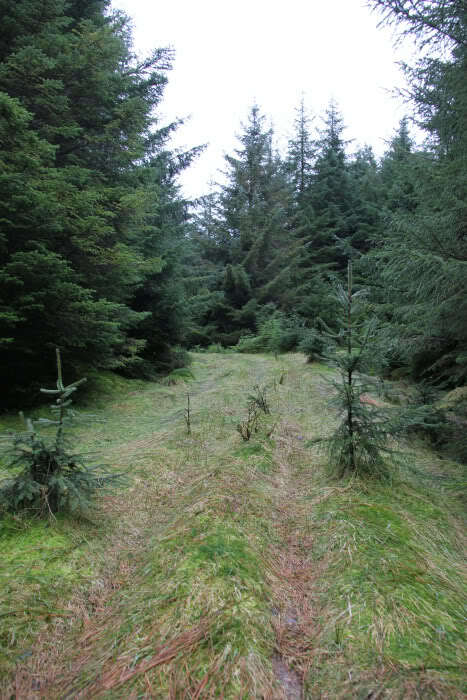 On reaching a track junction, I followed the track heading back towards the start, for around 100m, before taking a vehicle track through the trees – this was the track I found using Google Maps (Satellite View). The following photo shows the start of the vehicle track. The track through the trees was really good . 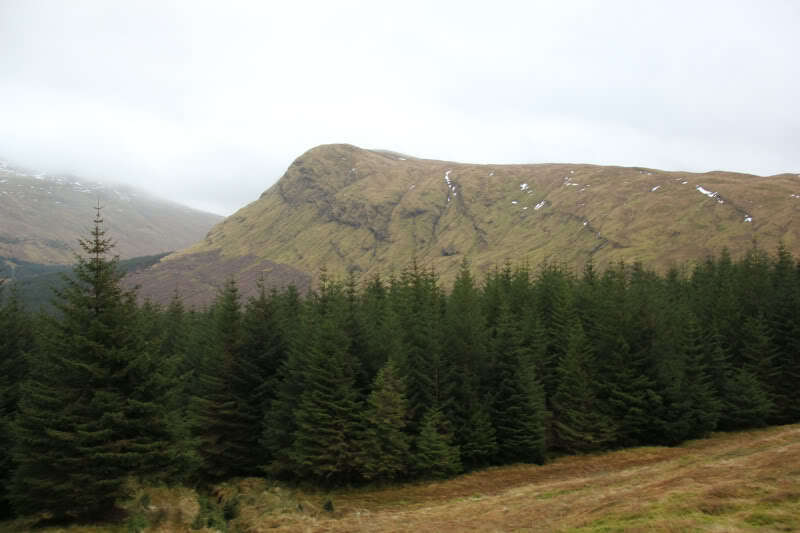 After following the vehicle track through the trees for several hundred metres, I reached the open hillside of Beinn Bhalgairean. 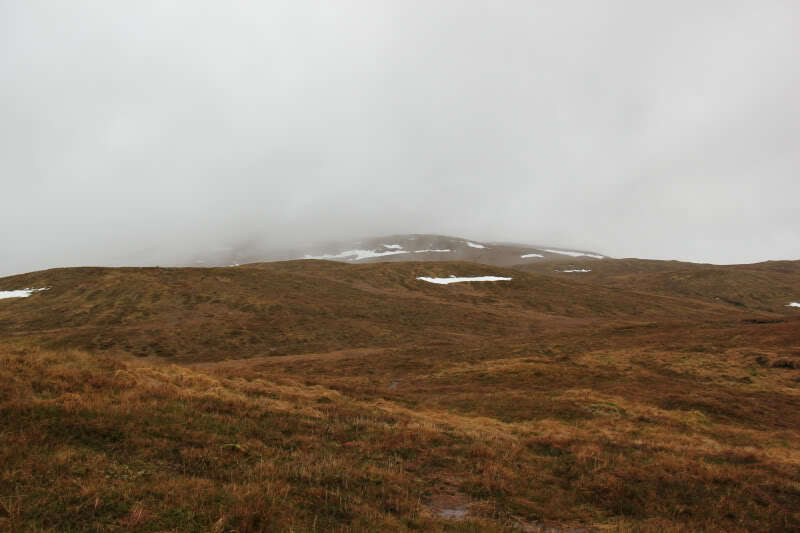 The ascent of Beinn Bhalgairean was straightforward, up easy grassy slopes. However, I then reached my first unforeseen obstacle of the day – a rusty six-foot deer fence. 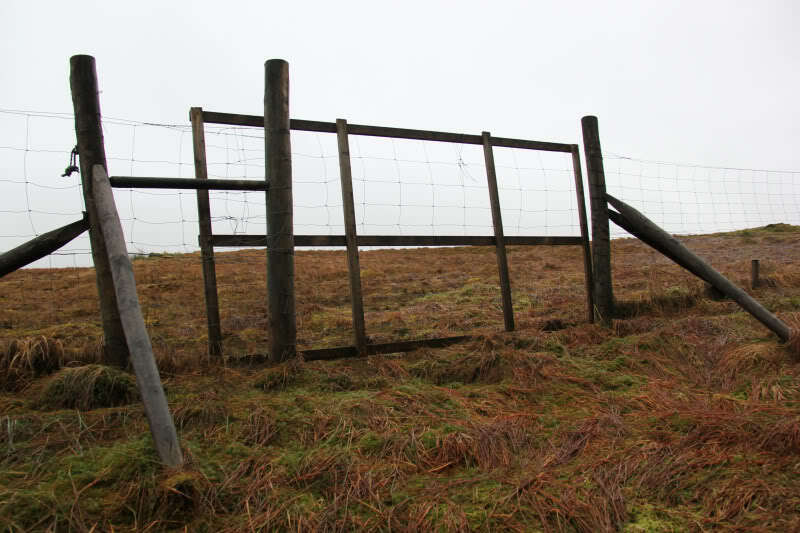 These fences don't bother me as they are easy to climb over but Beinn can't climb fences and can't jump six feet. It was therefore a case of follow the fence looking for a weakness. This was found quite quickly as Beinn was able to get under the fence at a small burn. 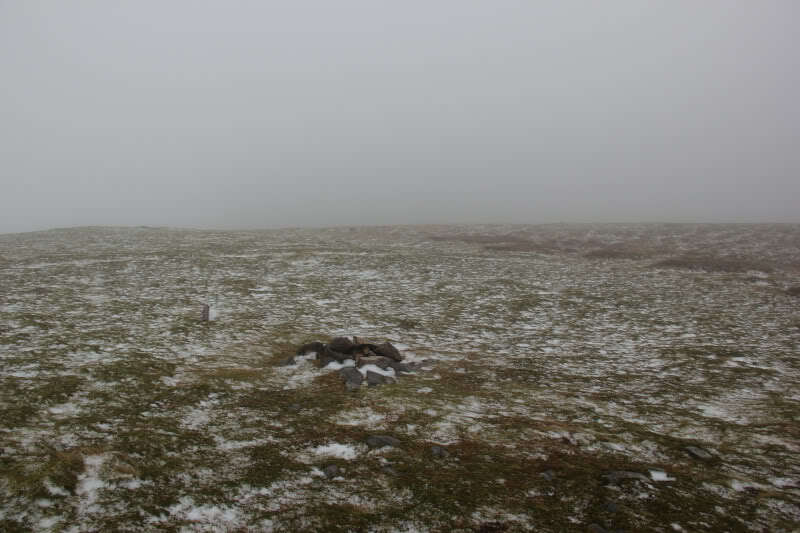 From here, it didn't take long to reach the summit - the summit is a “large stone 7m South of the cairn”. From the summit we made our way back to the same point in the fence that we crossed on the way up and then made our way to the start of the vehicle track through the trees. 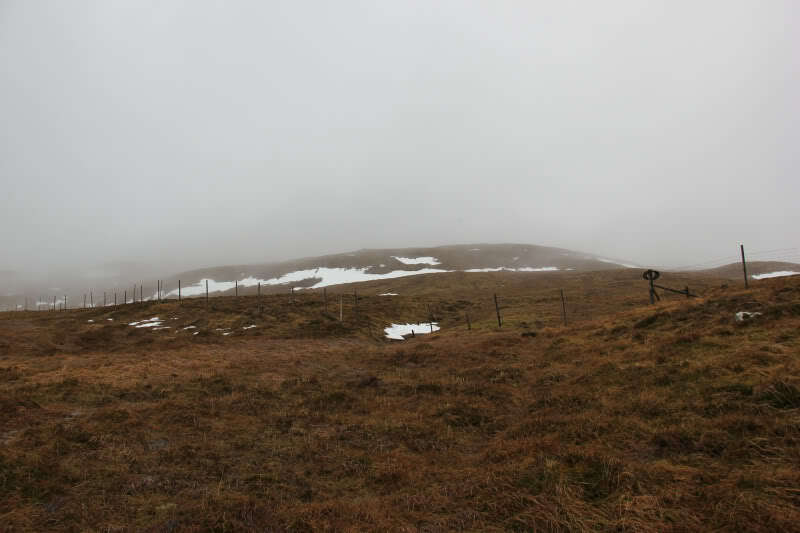 Next I made my way towards Meall nan Gabhar. 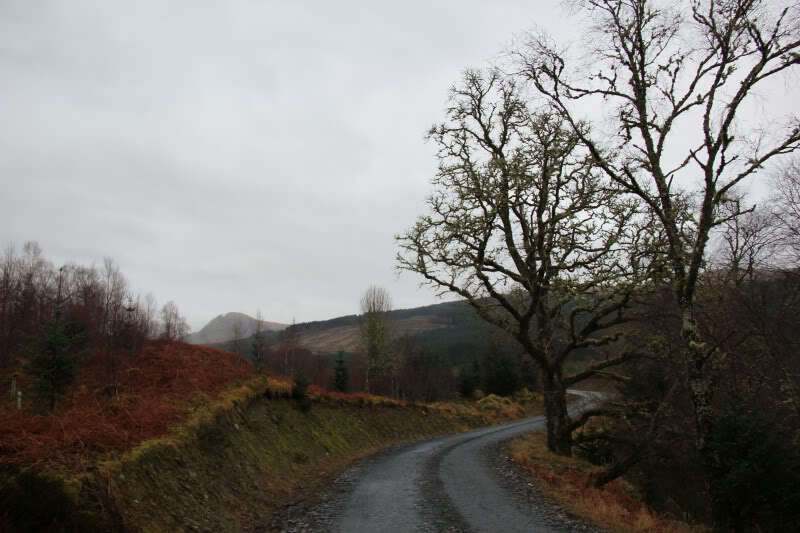 I had expected to find a landrover track ascending through the forest towards the start of the East ridge of the hill. However, on closer inspection of the map I found that it is a solid line next to a dashed line - a faint path next to a fence, not a landrover track! Further this whole area is a complete mess with tree-felling. I decided to follow the fence up towards the start of the East ridge. To get to the fence I had to cross a wee awkward section where trees had been felled. 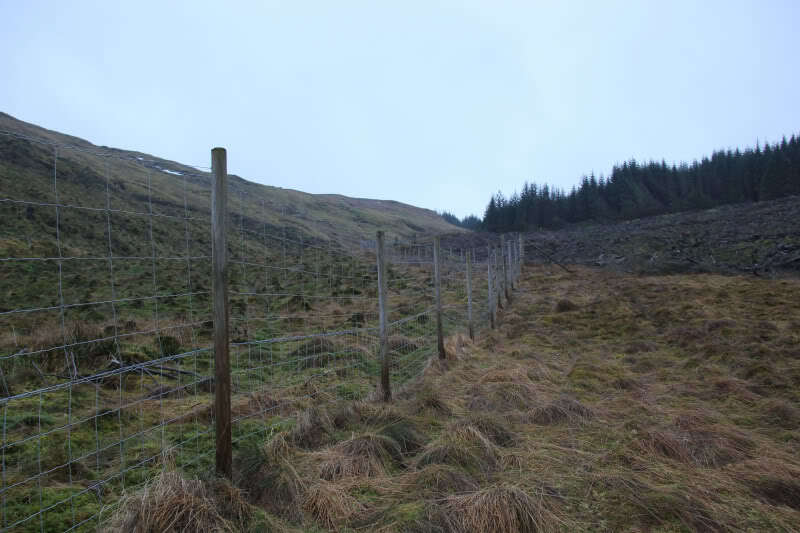 As I followed the fence up the hillside, I grew increasingly concerned that I needed to get Beinn to the other side of this fence. The fence is new and I could find no weaknesses. After the fence turned 90 degrees, a short distance beyond I was pleased to find a way through . 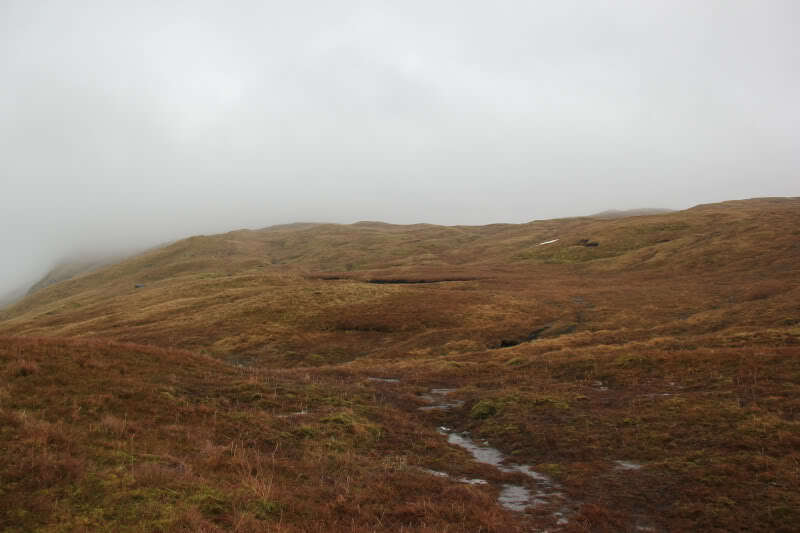 The ascent of Meall nan Gabhar was very similar to the ascent of its neighbour – easy grass slopes. 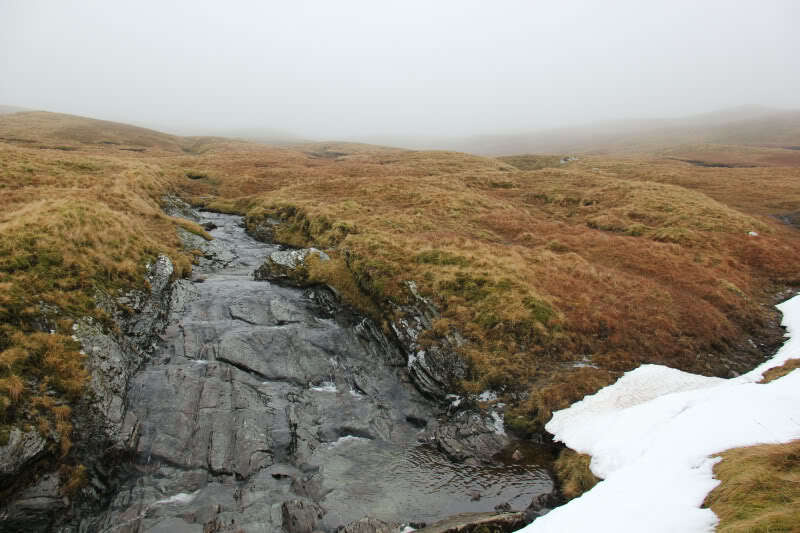 I followed the Eas a' Mhadaidh much of the way – a really nice burn running over lots of rocky slabs. I ascended the 743m top first before continuing on to the 744m summit. On reaching the summit, I visited several potential summit rocks. At the summit, I checked the map on my iPhone, which was already down to only 16% power remaining - don't have this problem with good old paper maps. I think you definitely need an additional power supply for an iPhone if using it to navigate on the hills. From the summit, I made my way back towards the wooden section of the fence and then back down to the track. A further three miles of track-walking got us back to the start. 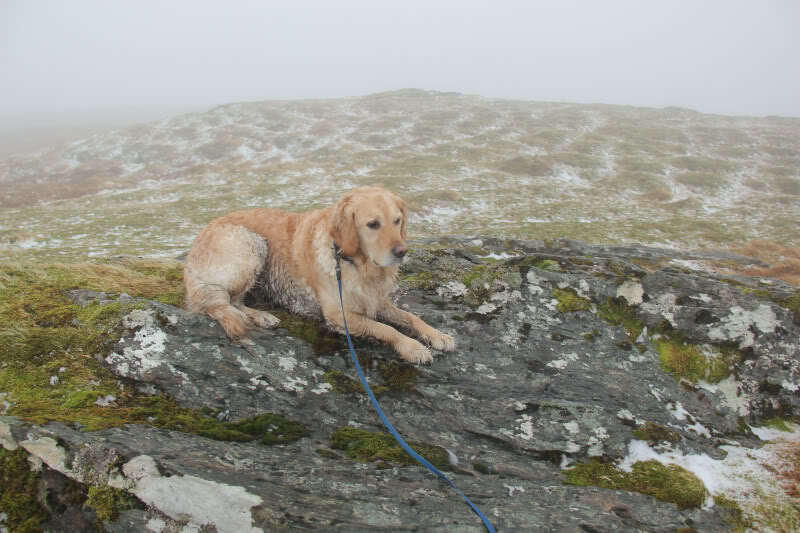 PS: MWIS – 90% cloud-free Munros? - sh1te forecast again! PPS: I also trialled ViewRangers BuddyBeacon today. Becky was able to watch where I was on the hill on the computer at home - this may have contributed to the rate of the phones power reduction.